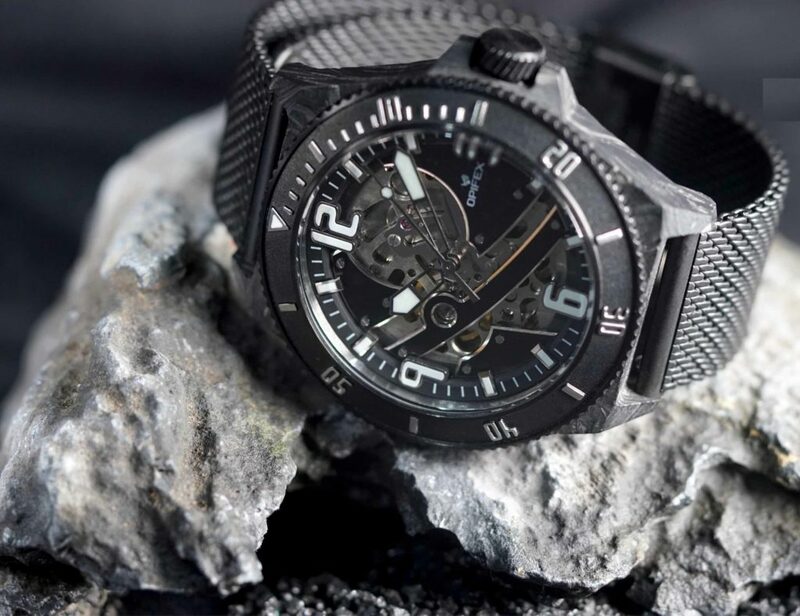 A chill that pervades and never fades. 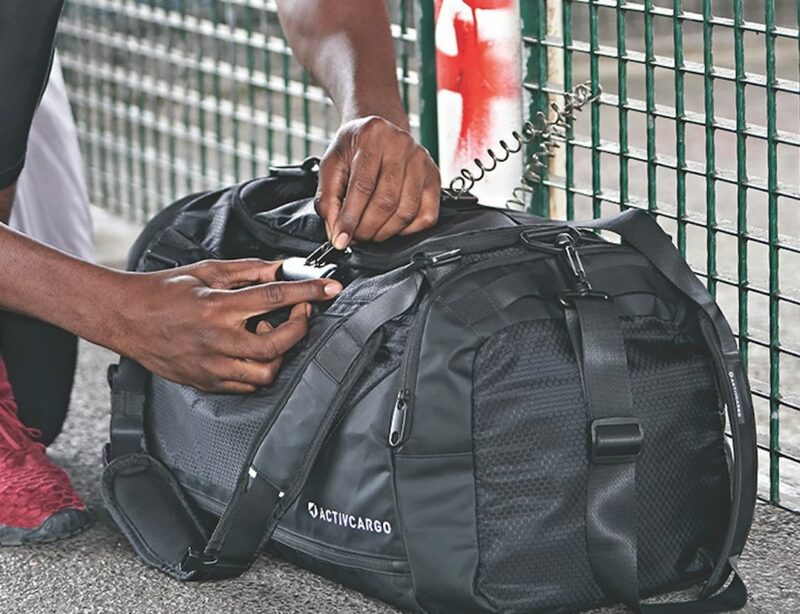 Delight yourself and the drinkers you know with this brilliantly innovative way to keep beverages cold, yet undiluted. 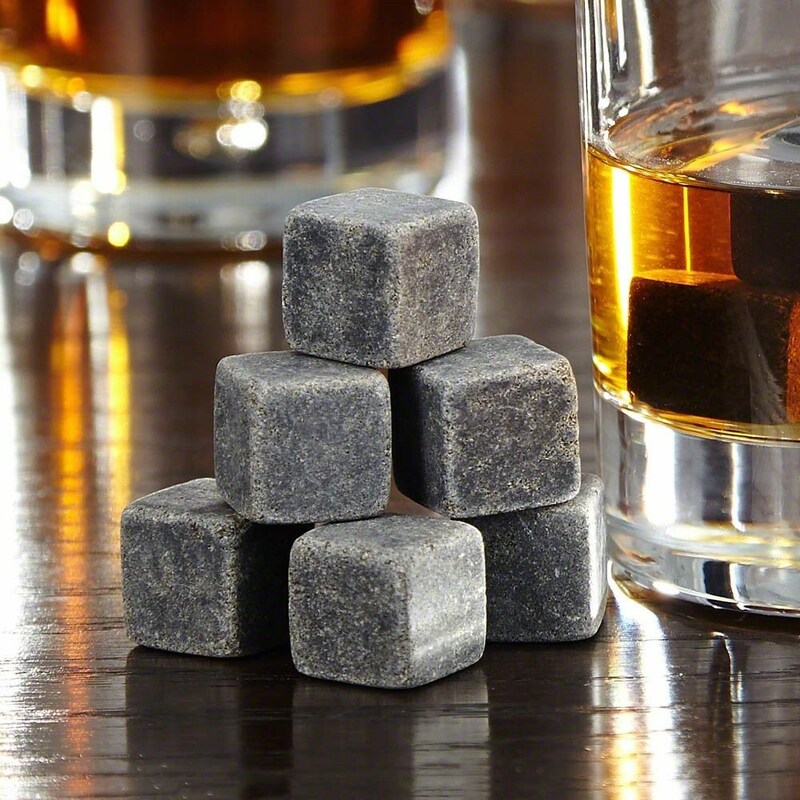 Scotch Rocks are smooth, nonporous soapstone cubes that impart the refreshing chill of regular ice cubes – without their disappointing, watery taste or off-putting freezer smell. 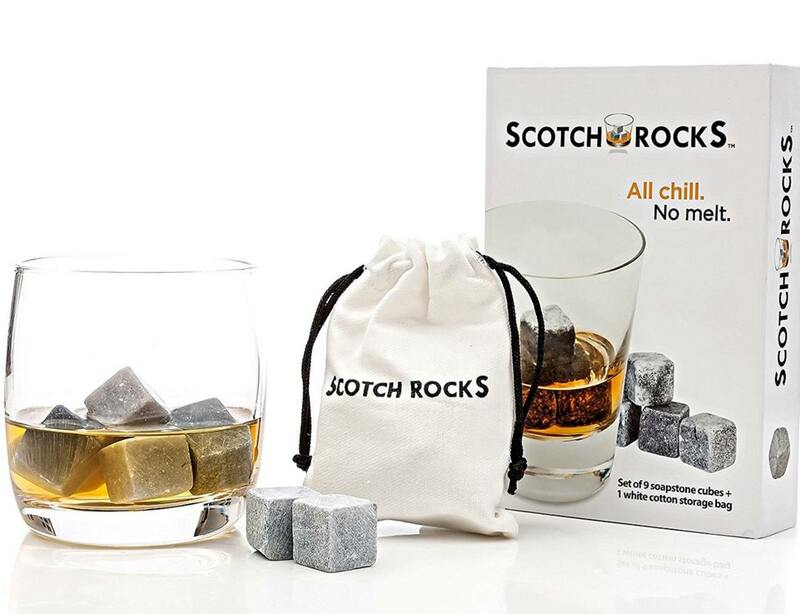 Best of all, you can freeze and reuse Scotch Rocks again and again. Cheers! 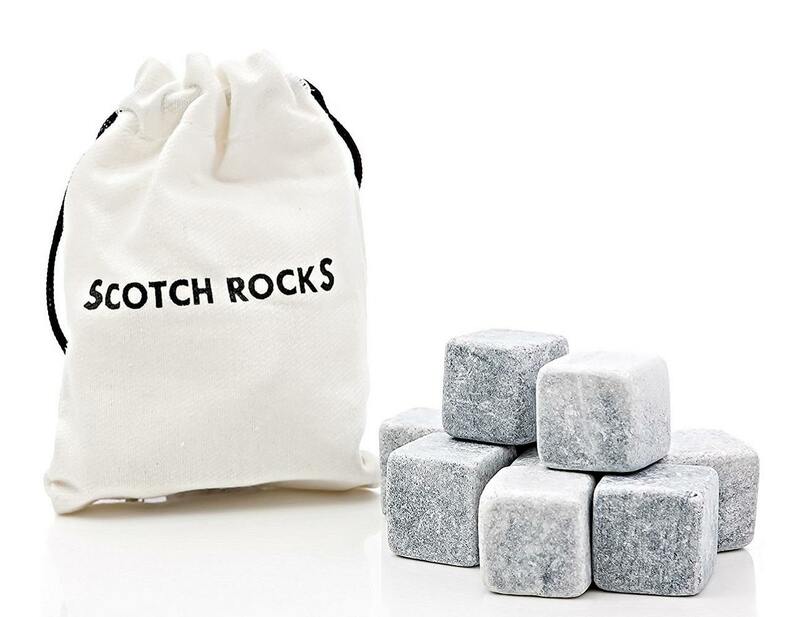 Easy to Use Before the first use, rinse and air-dry your Scotch Rocks, and freeze for about 4 hours. 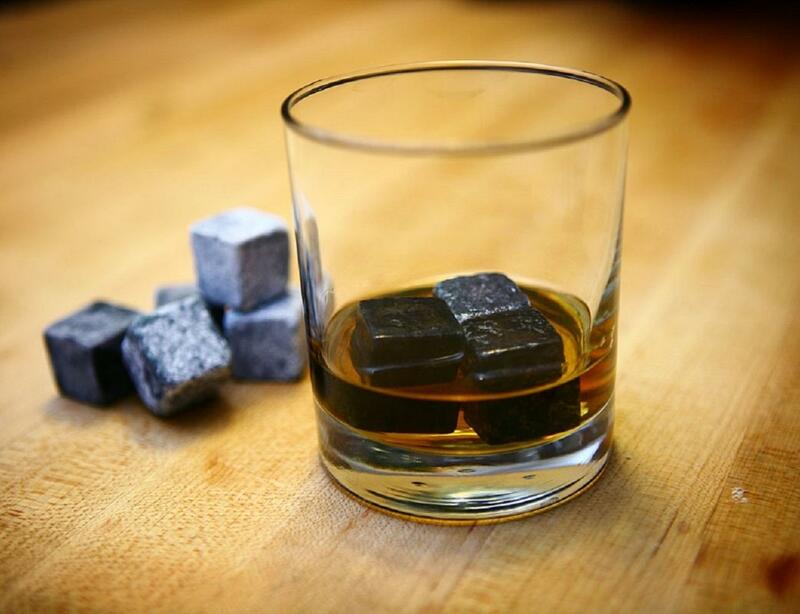 Then add three cubes per drink.